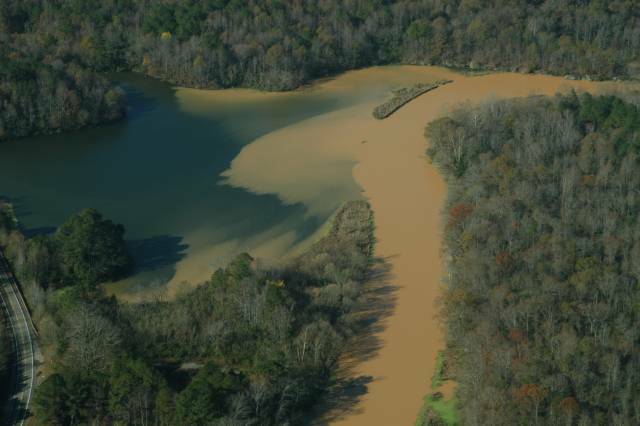 Sedimentation, or siltation, is one of the most severe threats to the Black Warrior River. The primary sources of this muddy water are irresponsible development projects, reckless logging and mining operations, and poorly built and maintained roads. These projects are required to use Best Management Practices (BMPs) for erosion and runoff control, which are rarely implemented correctly, maintained, or enforced. Due to manipulation of water levels by a series of four dams constructed for power generation, navigation, and flood control, the Black Warrior River has lost the characteristics of a natural free-flowing river. All of these dams cause the river to back up like a lake, altering the flow regimes of the river. Lacking the flushing attribute of flooding, the river now allows sediment to build up as sand bars, and around stream mouths and dams. This ultimately reduces the river’s water bearing capacity and blocks navigation for barges and recreational users. The U.S. Army Corps of Engineers is required to maintain a river channel at a depth of nine feet for commercial river navigation. By dredging the main stretch of the Black Warrior River watershed from its confluence with the Tombigbee River at Demopolis all the way up the Mulberry Fork to Alabama Power Company’s Gorgas Power Plant and up the Locust Fork to Alabama Power Company’s Miller Steam Plant. The U.S. Army Corps of Engineers has not been able to keep the Black Warrior’s tributaries properly dredged over the years, especially due to budget cuts that reduced the Mobile District with the services of one dredge boat, the Snagboat ROS. Unclogging stream mouths would improve tributary flow which increases the amount of oxygen in a water body, as well as opening up more habitat for fish reproduction. Many people blame the U.S. Army Corps of Engineers for the sedimentation issue that is hazardous for boaters and detrimental to aquatic wildlife habitat, but the accountability lies with us. As a democratic society we have to look at the sources of all the sediment. Operations and developments are allowed to discharge or pipe pollutants into the river due to a National Pollutant Discharge Elimination System permit issued by the Alabama Department of Environmental Management (ADEM ). Although ADEM claims that their permits are engineered to be protective of water quality, that can only be true if they regulate and enforce their permits by holding polluters financially responsible for polluting fresh water. When you see a development that has mud pouring over its silt fences (the black fabric), they are either illegally polluting without a permit or they are “legally” polluting under an ADEM permit. Call ADEM at (334) 271-7700 to report pollution and notify Black Warrior Riverkeeper (205) 458-0095 and send us pictures if you have them. Until we demand that ADEM starts punishing polluters, we will not see them improve their enforcement of permits. 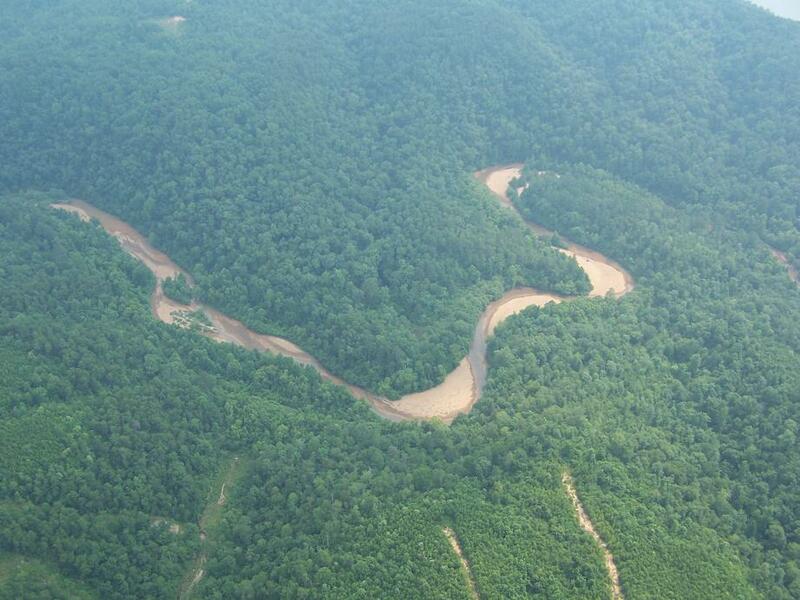 Below you can see the effects that large-scale development and mining along a creek’s banks can have.